Closes Tuesday, 30 April 2019. 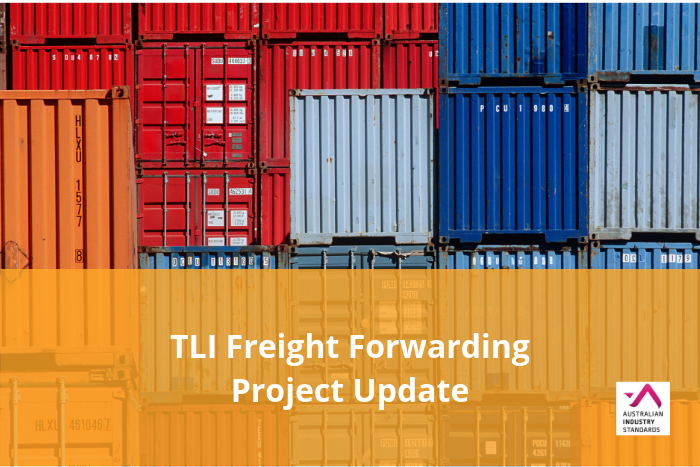 The Technical Advisory Committee for the TLI Freight Forwarding Project has finalised draft materials for the project and would like your feedback. Click on the link below to view the draft qualification, units of competency and to submit your feedback. Feedback must be submitted by close of business on Tuesday, 30 April 2019.